Built with a solid aluminium die-cast platter, the TEAC TN-400BT Bluetooth Turntable lets you play 33 1/3, 45, and 78 rpm records so you can show-off your entire collection without restriction. A high-torque DC motor and durable rubber flat-belt ensure stable playback at any speed. The TN-400BT has a built-in Bluetooth transmitter so you can play your LP records wirelessly on your favourite speakers. A USB output means you can convert all your vinyl into digital format. With the TN-400BT's integrated phono EQ amplifier that supports MM-type cartridges, you can easily connect to conventional amplifiers and micro systems for bigger sound and an even bigger party. By cutting out low frequencies, the TN-400BT's subsonic filter ensures only clear signals are sent to connected speakers and your sound is always clear, especially if your record happens to be warped. 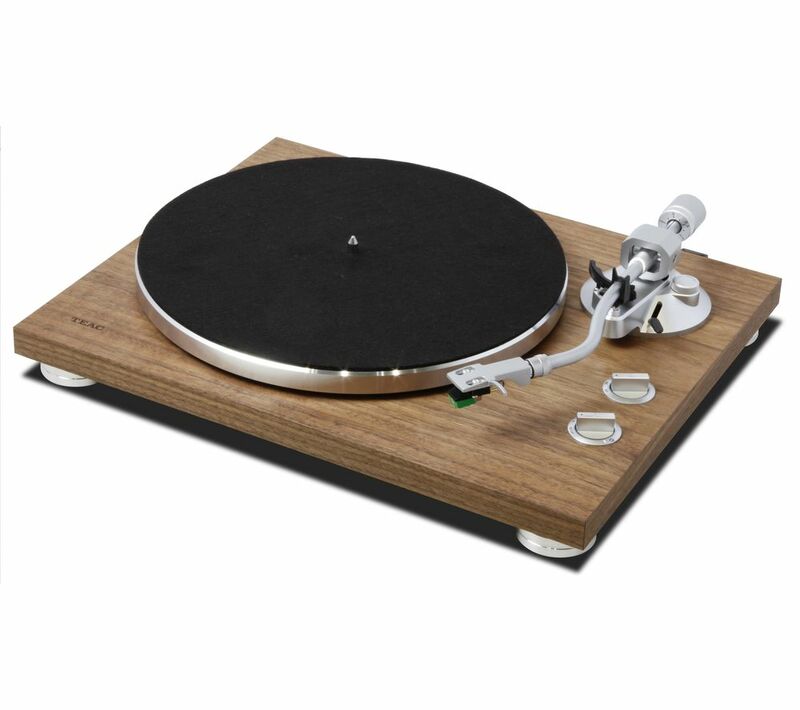 Add elegance to your record playing. 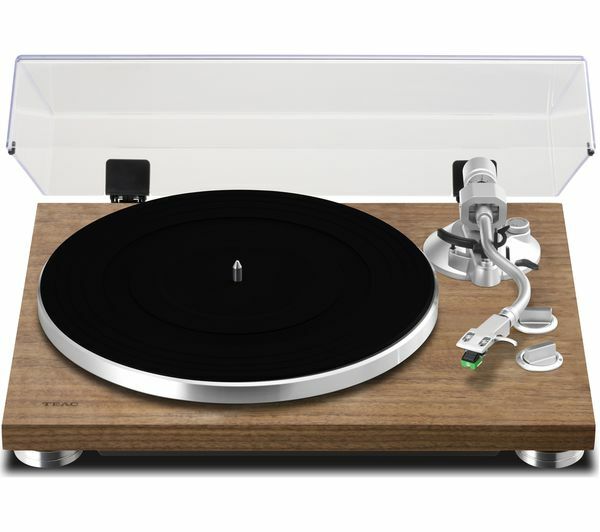 This turntable is designed with attractive aluminium knobs and feet, plus a high-density MDF chassis with shock-absorbing rubber. A beautiful looking and sounding turntable. Took a while to set up the stylus, but worth persevering as the sound, coupled with my Onkyo amp and Wharfedale speakers is excellent.